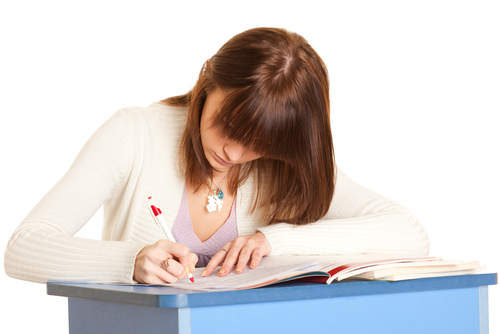 What are the High School Proficiency Exams? High School Proficiency tests are designed to asses if a person has the academic abilities equivalent to a High School. The certification obtained through these tests is the same as a high school diploma, and gives you the ability to access a jobs and opportunities generally outside your reach without a high school education, or to enter a college course and continue an academic program. The California High School Proficiency Examination is a test that assesses your knowledge in two areas; English-language Arts and Mathematics. If you take and pass this test you are awarded with a Certificate of Proficiency, which is equivalent to a High School diploma. The CHSPE is offered three times a year. You can register for the test electronically or in the CHSPE office anytime before the deadline. To the date, the cost of the test is $130. You have three ways of payment: cashier’s check, money order, or credit card. The test is divided into two sections: English-language arts, and Mathematics. The score goes from 250 to 450, for each section. The first one, English-languages Arts sectionis subdivided into two parts; The Reading subtest and the Languages subtest. This section has a passing score of 350. The passing score for the Mathematics section is 350. About 5 weeks after the test your test results are delivered by mail. This mail will include a certificate in case you passed the test. The English-Language Arts section assesses grammar and vocabulary, and includes an essay that the aspirant must write. The Reading subtest has 84 multiple-choice questions. 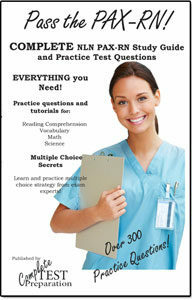 The Language subtest has 48 multiple-choice questions. 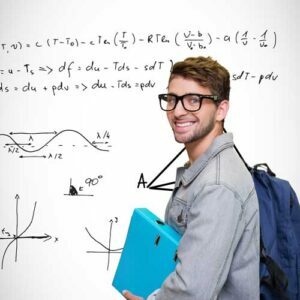 The Mathematics section evaluates geometry, algebra, and pre-algebra. The calculators allowed in these tests have some technical limitations: it must be a basic calculator, non-scientific, non-programmable and non-statistical. The Canadian GED is a certification equivalent to the Ontario High School Equivalency Certificate and the Alberta Certificate of School Completion. The registration process is done online, at https://ged.com. After the registration you can select the Testing Centre and time according to your schedule. In most provinces the cost for the entire test is $35.00 USD. Who can take the Canadian GED? In Saskatchewan, Alberta, British Columbia and PEI you must be at least 18 to take this test. In Ontario, Newfoundland, Labrador and Manitoba you must be at least 19. 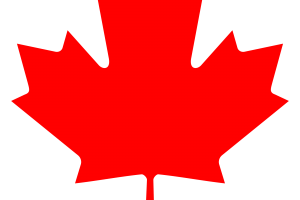 The Canadian GED has 5 sections; the total score is an average of the score of each test. The maximum score is 800 for each section, and the individual section passing score is 450. Your score report will be delivered by mail, about 3 weeks after you took the test. If you passed your certificate will come with the report. What’s on the Canadian GED? You can only use a calculator for the first section (math), and the calculator is provided at the test center. 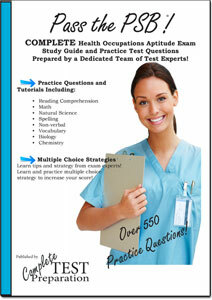 The TASC Test Assessing Secondary Completion, is a High School Equivalency exam designed by CTB/McGraw-Hill. Its low price made it a popular option for those looking for an equivalent to a High School diploma. The TASC ss accepted in New York, Nevada, California, New Jersey, Indiana, Wyoming and West Virginia. Has not graduated from high school in the United States. Has not received a high school equivalency certificate. Is not enrolled in a high school program. The passing score for each section of the test is 500. If you failed the test you must wait at least 60 days before retaking it. It’s a long test: it takes about nine hours, which are usually divided into two days. You can use a calculator in the TASC, as long as is not a graphing calculator and doesn’t have any programming capability. The High School Equivalency Test its another test that offers a certificate equivalent to a High School diploma. This credential is issued by the state, which gives this certification a national validity. You can register for this test by phone, going to a test center or online, but the availability of these ways to register will depend on the center you’re testing. Some centers in some state allow you to take the five sections of the test in any order, so you can accommodate them at your convenience. Usually the minimum age to take the test is 18, but in most state if you are between 16 and 18 you can take the test, as long as you meet some requirements that vary according to the policies in every state. But the general requirement is not to be enrolled in High School, or any other program that can lead to a High School diploma. In the HiSET every question gives one point, and your final score is the sum of all your right questions. 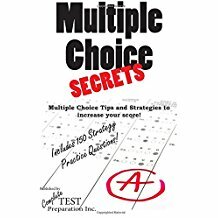 The passing score for the multiple-choice section is 45, and for each essay you’ll need at least 2 points. The test report will be available in your HiSET account within three business days after the multiple-choice sections and within five after the Language Arts – Writing section. The report will also be send to your state, so in case you passed they can prepare and send you your credential. Language Arts (Reading), it has 40 questions related to several texts that will be provided to you during the test, you must answer the questions according to the content in the texts. You will have 65 minutes for this section. Science, this section has 50 question related to astronomy, physics, human health, chemistry, and others. You will have 50 minutes to complete it. Mathematics, it has 50 questions and 90 minutes to answer them. The HiSET allows the use of calculator in the Mathematics section. The calculator will be provided in the center the day of the test. Is the CHSPE the Same as the GED?